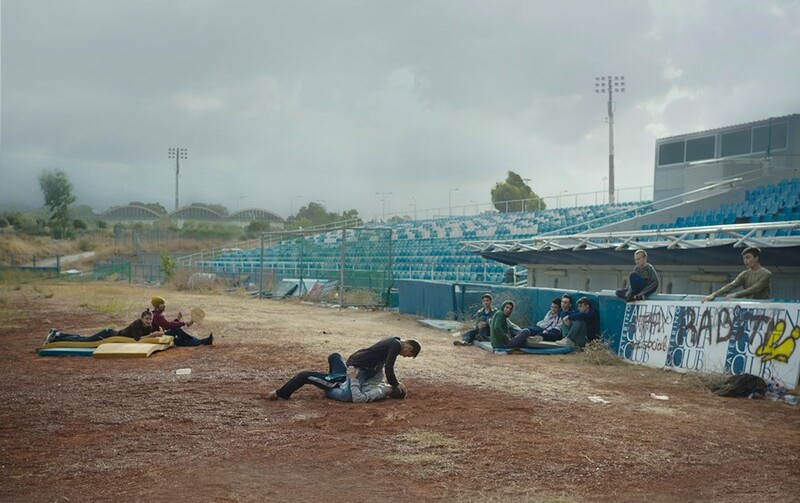 “Most people assume that the film was inspired by Greece and the Athens Olympic village but the truth is that I just wanted to talk about a group of kids who live in a place which is very abandoned; that has no hope, no exit, no nothing,” explains Greek director Sofia Exarchou of her debut feature Park, set in the city’s derelict and hauntingly picturesque Olympic grounds. 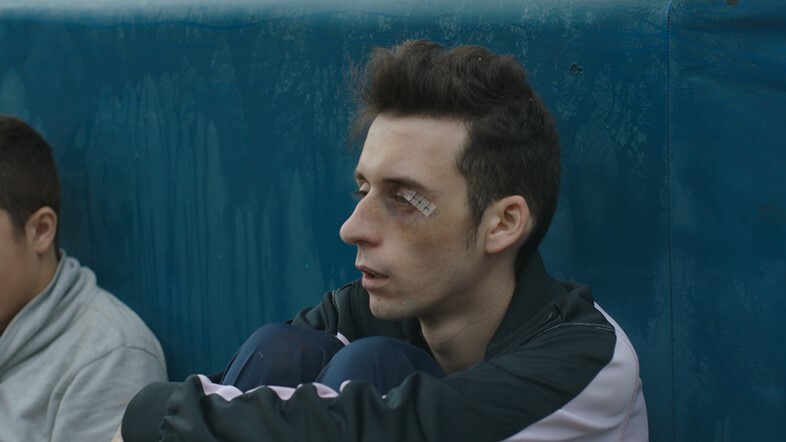 The film is a vibrant and compelling coming-of-age tale that explores the blossoming relationship between Dimitri (Dimitris Kitsos) and Anna (Dimitra Vlagkopoulou), the eldest in a group of disenchanted kids whiling away their summer in the former athletic park. Their prospects are as bleak as the wasteland they inhabit, but they are filled with an insuppressible energy and the restless defiance of youth. Exarchou takes a New Wave approach to directing, her non-narrative manner of storytelling and documentary-like character studies inviting comparisons to Larry Clark and Harmony Korine. Add to the equation the beguiling, washed-out cinematography and colourful cast of idiosyncratic teens (Exarchou spent six months touring schools to find her stars, none of whom had featured in a film before), and Park could easily be described as a modern-day Gummo, heralding the director as one of Europe’s most promising new auteurs. Here, ahead of the film’s screening at this year’s BFI London Film Festival, we sit down with Exarchou to talk about the inspirations behind the movie, the power of shooting close up and the industry's generalised approach to female filmmakers. What were your starting points for the film? Sofia Exarchou: I saw these images of kids at the Olympic village – one standing above the swimming pool, another of a girl with injuries – and slowly I started connecting the pieces, creating small stories about them, and then began writing a script. I wanted the story to feel abstract and universal, not just about the Greek problem right now, and the Olympic village has this feeling – it’s a no man’s land – and if you look on the internet there are lots of Olympic villages around the world that have had the same fate, so I hope it could feel like it’s anywhere. You leave a lot of the film open to interpretation, is that something that is important to you as a filmmaker – not handing anything to your audience on a plate? Sofia Exarchou: There are two important things for me. One was not having a straightforward narration because I wanted to show the kids having a consciousness of where they live. If you meet kids like this, they really know where they are from and so their expectations of life are very small. I didn’t want to give any of the protagonists a big drive or dream – which would have made my life easier – because I wanted to be true to their stories. Even the main character in the film, all he wants is to get out of that place which is very truthful to what I believe these kids feel. And the second one is that as a director I really like posing questions, and showing the audience the experience of living somewhere like that, rather than giving them the answers to anything. Did you improvise with the kids at all? Sofia Exarchou: All of the scenes were written and the script was very elaborate – I worked on it for almost two years. But then when I started rehearsing with the kids, a lot of things came out of them that became very important to the film. Apart from the two main protagonists, none of the kids saw the script. They just knew that they were a group of friends living in the Olympic village in the summer. So I would say, ‘OK, we have a scene in the shower; you feel very hot; somebody’s trying to open the taps. Let’s play that.’ I knew where I wanted to lead the scene but I wanted everybody to have their own actions – to see who is the most funny, the most aggressive – and then after that we would choreograph it together so when we were shooting everybody knew what he had to do. So I knew what every scene was about and what I wanted to come out of it but I let them have their own actions. 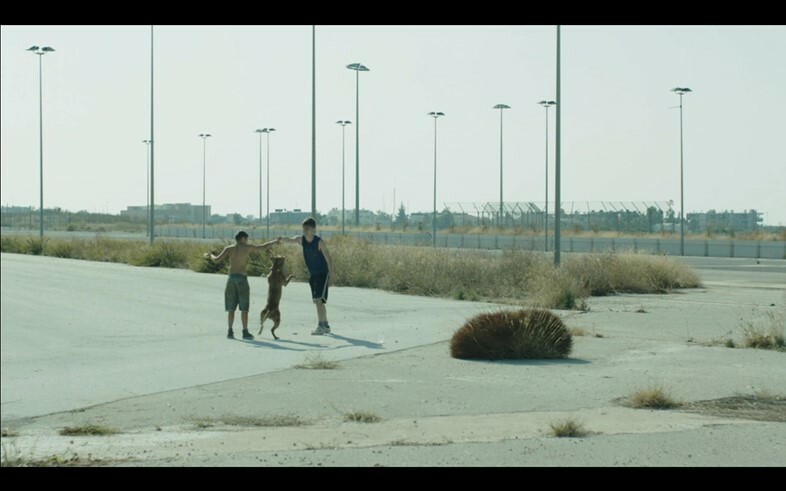 The stray dogs seem an important symbol in the film and a parallel to the kids in many ways. When did you decide to include them? Sofia Exarchou: I didn’t mention but in fact one of the very early images I had was this photograph of a dog mating – I don’t know why! – and there were two kids who were responsible for that, like the kids who mate their dog in the film. I started thinking why that was so important for me and I think it’s because in this place where you feel that there’s no life, the idea that only thing that has something to do with life is the kids organising the mating of these dogs to make new life, is an interesting contradiction. Also you don’t really see the kids’ families or the adults in their life and yet they’re trying to provide a family for their dog and that made a nice circle for my story. A lot of the film is shot close-up and focuses on the physicality of the actors’ bodies. Could you talk a bit about the decision to film like that? Sofia Exarchou: My DOP and I loved the landscape but every time we placed the camera away from the characters, it didn’t feel right. And every time we went as close as possible, it was all what the film was about. This close eye on the kids and the dogs gave it the right energy, and it worked so well. I think it’s because the big contradiction is that this is a desert, there’s nothing going on but these kids have so much energy and it flows out from the frame when you watch it. Plus the handheld camera creates a lot of added aggression and tension as well, an animalistic kind of feeling that was really important. The film has drawn comparisons to Gummo. Was Harmony Korine an influence? Sofia Exarchou: Korine is a big inspiration and Gummo is one of the films I really, really love and admire so if it looks like that a little bit, then that’s good! Was any of the script based on your own experiences? Sofia Exarchou: As a director, you don't always realise exactly where the ideas or scenes come from or whether they’re somehow connected to your own life. Even now I can’t work it out. But apart from that, I was also really inspired, and understood how much the script meant to me, when I started working with the kids because many of the actors are pretty much the same as the kids in the story so working with them and spending all this time with them gave me a lot more energy to tell their stories and explore their characters. So it was a combination of my thoughts and subliminal childhood memories and their experiences. How do you think your nationality informs your practice? Sofia Exarchou: I say that I would like the film not be related to Greece, and that it could be anywhere, but at the same time because I’ve lived here all these years, what happens every day affects my idea of the world and how I see things right now. You write based on your own impressions of a place and then you build up the picture even more when you’re living in the space. A very distinct thing for me is that right now a lot of the abandoned spaces in Greece are where they’ve put the Syrian immigrants, so I wrote the script talking about a no man’s land and now the reality has overtaken me in a way – what’s happened two years after shooting is even worse that what I envisioned. It’s very interesting to see. It’s a question you must get asked a lot, but how has being a female affected your career so far? Sofia Exarchou: It’s very difficult for anybody, male or female, to make a film, and in different countries there are different problems involved with making one. I think in the last few years, because a lot of people have talked about the struggles of female filmmakers, it’s not taboo any more, which is good. But I think that there are still things to be done. I hope that we will arrive at a moment when we won’t discuss whether the director behind the film is female or male at all. Sometimes when they talk about films by female directors it sounds like it’s a genre! Park will screen on October 13 and October 15 as part of the BFI London Film Festival. See here for tickets.